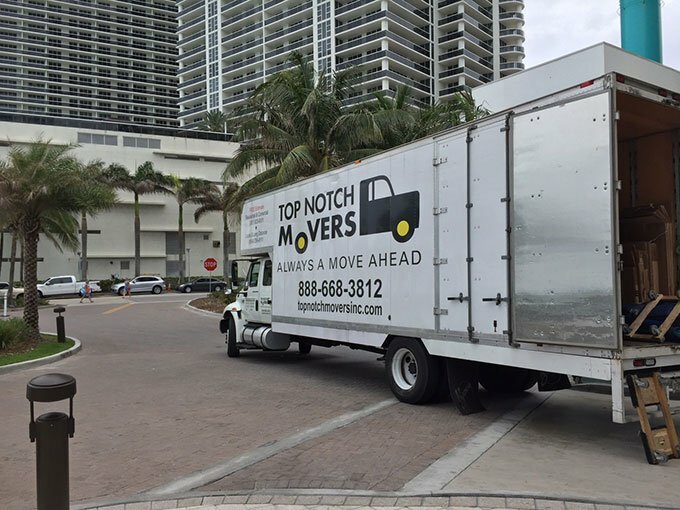 At Top Notch Movers Inc. Fort Lauderdale commercial moving, we understand that the concerns and needs of a business can be vastly different and more complex from those of a residential move. That’s why our decades of experience in performing some of the most complicated corporate relocations are critical when choosing a mover or your business move. We are the ideal choice when you need to move offices, warehouses, or industrial goods, whether it is within the same town or across the country. We handle commercial moves of every size, from a single desk, to complete offices and industrial facilities. Whether you need to move from one floor to another in the same building or to the other side of the country, our services will allow you to get back to business in no time at all. We utilize the latest in relocation technologies and employ specially trained staff for the office and corporate relocation projects. Commercial Moving In Fort Lauderdale – How Does It Work? When you call or email us for an estimate, we perform a detailed assessment of your needs and requirements and then give you an accurate and fair estimate with no hidden costs or fees that can wreak havoc on your business budget. Our Fort Lauderdale commercial moving service provides the value you expect for your transportation and relocation budget. Our past work experience, handling corporate moves across all industries since 2009, gives you the benefit of such experience. Our proven system will save you time and money, as well as ensure your, and your employees’ peace of mind. For some great reviews on us, visit our Yelp page and check our testimonials and see additional pictures. Our moving teams and in-office management personnel will maintain a hands-on approach from start to finish, ensuring that everything from the most expendable item to the most important, irreplaceable item is safe and sound. We will treat you with our Top Notch service whether you are a small sole-proprietorship or a major corporation. Our primary concern is for the safety of your property, and the well-being of your business. We are more than your relocation company; we became the top commercial mover in Ft. Lauderdale by becoming your business partner providing you with comprehensive corporate relocation services that you can truly count on. Top Notch Movers is a professional and experienced moving company, and we have your back. As commercial movers in Fort Lauderdale, we love offering our clients exceptional customer service that is unparalleled by other moving companies. Our ultimate goal is customer satisfaction and if you are not satisfied, neither are we. Call us today for a free estimate and quote! We had a very successful move with Top Notch Movers Inc. They arrived promptly and were very courteous and efficient. They took great care with our things and made the move much easier and stress-free for us. Our movers were Tony and Paul…they were amazing people and movers. I highly recommend this company and furthermore Tony and Paul.